This is pretty epic. I love it when designers use the analog version of design versus creating it in the computer and this just took my breath away. This is a real tattooed bottle by Sphinx directed by Button Button on Behance! As a celebration of this origin we decided to tattoo 25 bottles for real. Then we asked Sébastien Mathieu, owner of Le Sphinx a private tattoo room in Paris, to support us in this adventure. Excited by the challenge he immediately accepted… with only a partial idea of how complex it would be… Actually he spent around 20 hours to tattoo each bottle. 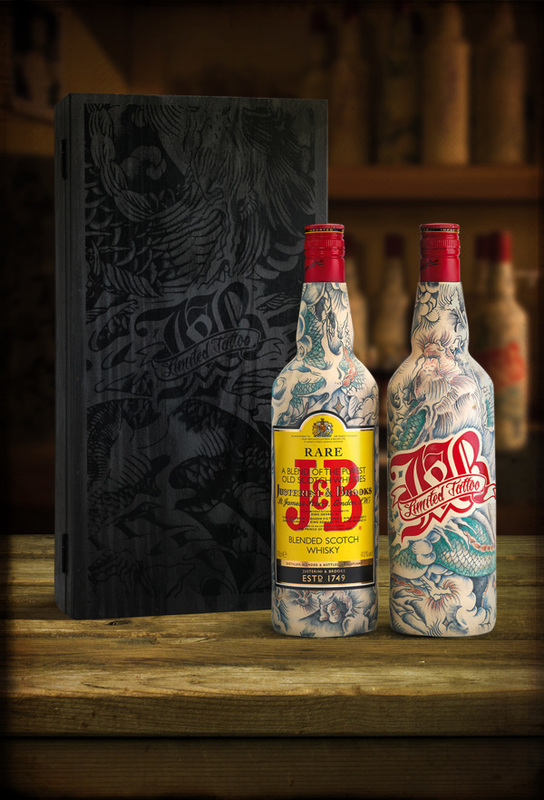 Each of the 25 bottle is tattooed from a single design but intrinsically, each bottle is unique. In the end, these 25 bottles are for sale this winter in Paris at Publicis Drugstore and at L'éclaireur rue Herold. They are presented in rough black silkscreened wooden box.